Well Dwight, you “ducked” a major bullet staying in Los Angeles. Sure its the land of Hollywood, land of dreams, infinite possibilities, and a place for your brand to prosper. But through it all you didn’t allow the spotlight and celebrity endorsements dictate your future. You stuck to your guns and chose a team with a promising future and solid front office. Whether you like Dwight Howard or not, he unequivocally made the right decision to join forces with James Harden in Houston. LAKERS what the heck were you thinkin?! The past few weeks had to be the most embarrassing moments in the history of the beloved franchise. Just watching their desperation unfold in hopes of securing Howard was flat out DISTURBING. Banners, letters, etc. 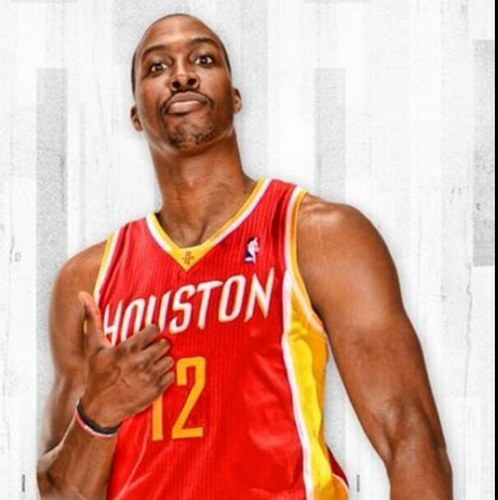 Please Stay Dwight! Please Stay!! Oh, it was awful to watch. It was like seeing a man begging his estranged girlfriend to get back in a relationship with him. So he sends her flowers everyday, leaves banners on her lawn, and consults everyone she associates with to convince her to come back home. GROSS! Lakers, do you realize that you are one of the most decorated franchise’s in the history of professional sports? Do you realize that your 16 championships speak for themselves? Do you realize that every young kid (whether they admit it or not) dreams of playing for the Lakers one day? Do you realize that you are one of the most respected organizations in professional sports? Well, apparently not; because all you did was lose your dignity and pride in a matter of two weeks. Dwight left LA for two main reasons. One, the expectation level was too high. As a 7 time all-star, 5 time all-NBA first team, and 3 time NBA defensive player of the year, there is one thing that the Lakers expected from Dwight…Larry O’Brien trophy. When Dwight failed to make it pass the first round of the playoffs, he immediately felt the finger pointing and disappointment. When you’re the best center in the league and have all those aforementioned credentials, and you team up with arguably the best shooting guard in the history of the game than you are expected to produce. Plain and simple Dwight did not produce. His numbers were dramatically lower than his last few seasons, and he just didn’t seem to fit in. Reason number two he left was because the Lakers team was turning into a convalescent home. We all know that Kobe can still ball despite his aging, but that Achilles injury was a huge setback. And who would put their trust in a 39-year old point guard to captain your ship? Exactly. Houston hasn’t seen a future this bright since Destiny’s Child debuted. Sure there was a lot of optimism when T-Mac and Yao joined forces, however that’s another story. The Rockets is the perfect destination for Howard. First off, he’s not expected to bring them a championship in his first year there. Yes, there’s expectation for them to go deep in the playoffs, but a ring may not be immediately in the mix. Second off, he has a young team of budding superstars that will be legitimate championship contenders in the years to come. Third off, his brand goes international (especially in Asia). With the arrival of Jeremy Lin last year, and the history of Yao and this organization, the Rockets know how to captivate an audience on a global scale. Fourth off, Dwight can just go back to playing basketball and having fun. While playing for the Lakers he was scrutinized on and off the court because of the culture in Hollywood. Now, he doesn’t have to worry about the baggage as much. Kind of like his days in Orlando, he can just go back to what he does best. Dwight I applaud your decision. In fact, I think it’s the best decision you made to date; with the exception of that horrific outfit you wore All-Star weekend 2011. I believe Craig Sager is the only one that can pull off wearing a fluorescent blazer. At any rate, you proved you can make great decisions under immense pressure. Also admirable was the fact that you were the only person in the history of the Lakers to walk away from the organization and leave money on the table. And to that Howard, I salute you. You know how to “duck” a bad situation.